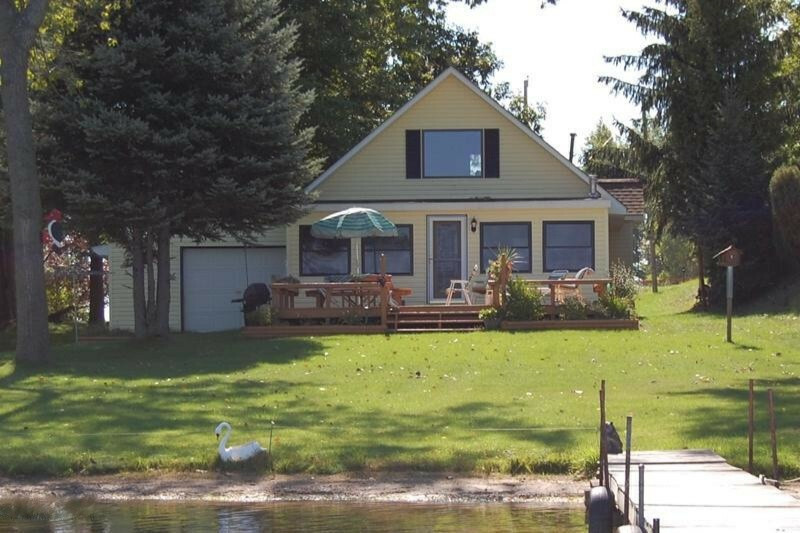 Adorable chalet with a beautiful beach front on the Main Canadian Lake. Great location for this cottage. Two bedrooms and one bath with laundry, open living, kitchen. Kitchen has walk-in pantry. Updated bathroom with walk-in shower. Nice sunroom with beautiful views of the lake. The beach is a firm sandy bottom perfect for swimming! Flat yard to the water's edge. Beautiful views of the main Canadian Lake. One-car attached garage with doors on both street and lake side of home. Andersonwood windows. Updated HVAC in 2018.